The Splendid Sampler has been going strong! If you have not been sewing along join in on the fun, there are still sixty three blocks for you to make. You can also go back and download and make past blocks! 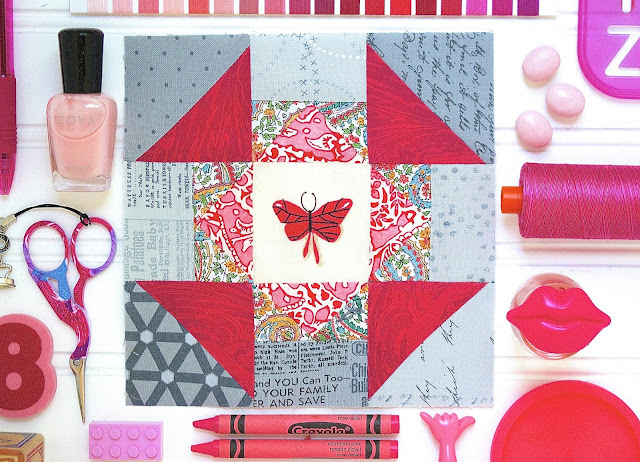 The newest lovely pieced block released today is by Laura Flynn from Cotton Patch Quilt Shop. I had so much fun creating this very pink block! 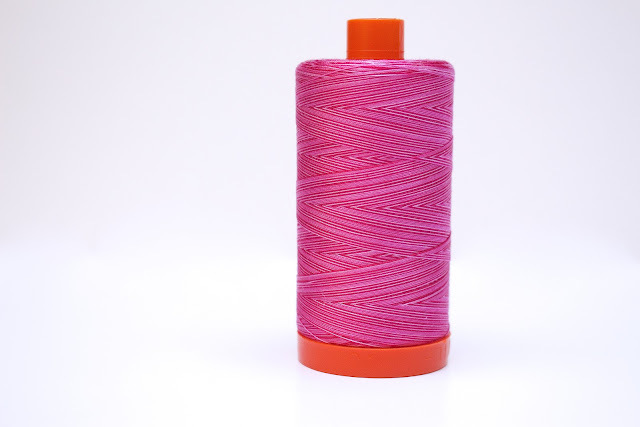 Honestly, pink was never a favorite color but when I make projects using beautiful pinks, I cannot, for the life of me, remember why I had a dislike for them. My background fabrics are Modern Backgrounds by Zen Chic for Moda ( they are awesome). All of the pinks are Liberty of London from my stash and the sweet center fussy cut is from Munki Munki pajamas. Yes, I will cut up anything to make a good fussy cut. If you have not been sewing along with The Splendid Sampler, start! It is an amazing skill builder with a variety of techniques that will help everyone from beginning to expert. It is for everyone to enjoy! The blocks are completely free with professional downloadable pdfs for you to use. With over 80 designers, you will not be disappointed the same old block twice a week. There is also a linky party on The Splendid Sampler website for every block and a very active, supportive and growing Facebook group. 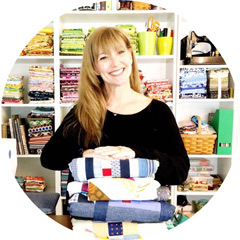 This group is filled with the organizers of this amazing adventure, Pat Sloan and Jane Davidson, many of The Splendid Sampler Designers and thousands of friendly quilters just like you! I hope you will be joint in on the fun! The MORE the MERRIER! that was quick just downloaded mine this morning, it had not arrived before I went to bed.